Our accessibility signage and Handicap Signs are specially formulated to best guide & instruct individuals with special needs. We understand how important accessibility signage is based on By-Laws, and we constantly strive to serve them better. 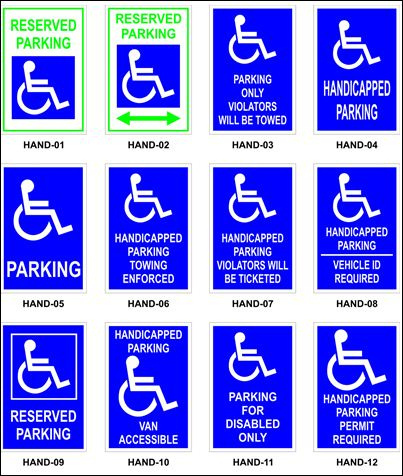 All our Reserved Handicap Signs are custom-made using industrial-grade aluminum and high visibility retro-reflective vinyl. These signs are just easy to see at night — they’ll last years of continuous use in all weather conditions too! Help property management keep parking accessible. Make it easier for employees, guests, customers, and clients to identify designated disability and handicap reserved parking spaces. Post our disability signs near building entrances, by public spaces, and in parking lots. The Handicap signs we produce is 100% ADA-compliant, perfect for any and every state or province across the U.S. and Canada. 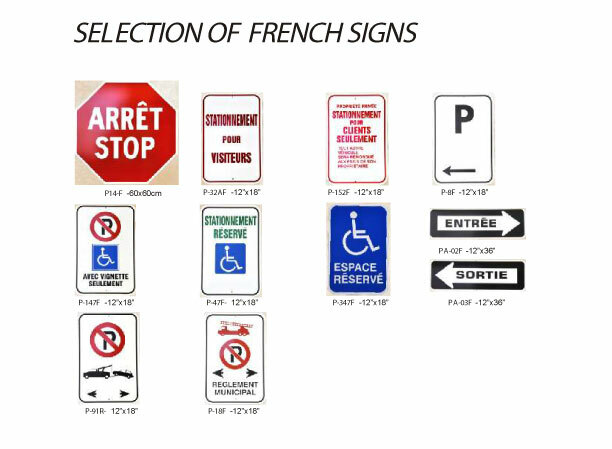 Furthermore, we can customize all our Accessibility Signage, Parking Handicap Signs for extreme weatherproofing. We guarantee that our Disabled Parking Signs are rust-free, deterioration-free, rustproof, waterproof, and resistant to chemicals. Equipped with a highly durable finish, our Disabled Parking Handicap Signs offer a fresh look-and-feel at low costs. Order now! Be sure to contact us for Custom Handicap Stencils or Parking Lot Signs, No Trespassing Signs, Safety Signs, Fire Route Signs, and Fire Hazard Signs, all of which can be customized affordably. Multicolor Signs supplies signs throughout America (USA).